Fish tacos are the best. You start with a good firm white fish, preferably grilled. 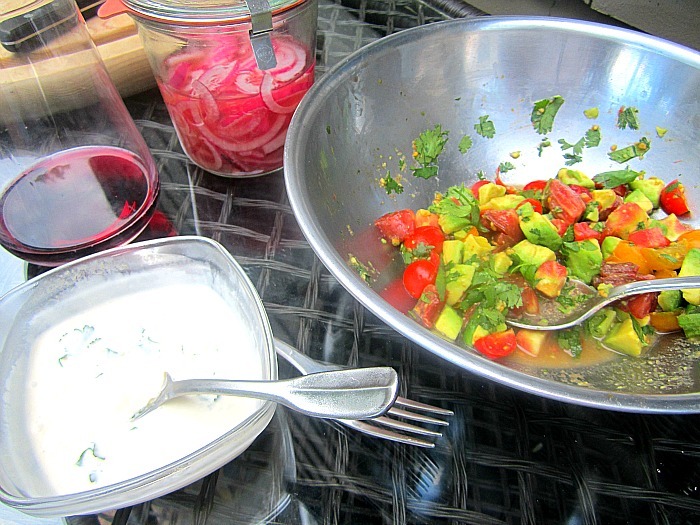 A nice salsa fresca, perhaps with avocado. And "crema". 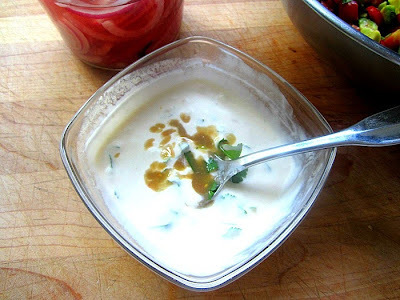 A nice creamy white sauce maybe with some lime juice and garlic. I can never find soft corn tortilla shells without driving to the Hispanic market in Morristown, so flour tortillas will have to do. 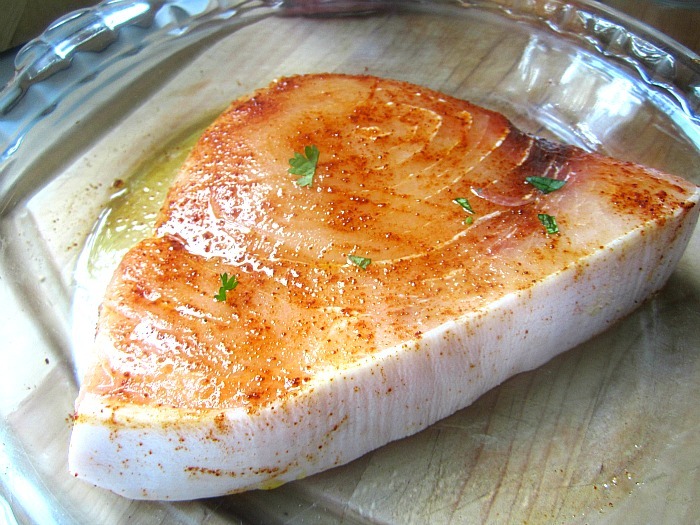 You can marinate any white fish, snapper, cod, halibut, but here I used a nice piece of swordfish marinated in some lime juice w/ kosher salt and pepper and ancho chili pepper. 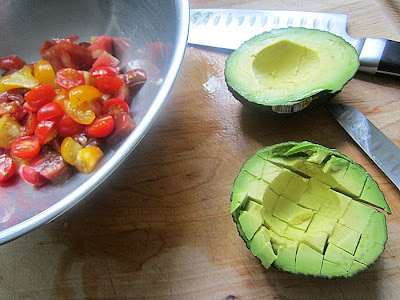 Mix all salsa ingredients in bowl and set aside. Stir together crema ingredients with a fork and keep in fridge until ready to use. No boiling needed here. Whisk the sugar and vinegar in measuring cup, until sugar is dissolved. Pour over sliced onion in a jar and add in cloves. Cover and let sit on the counter at least 1 hour and up to a week before using. 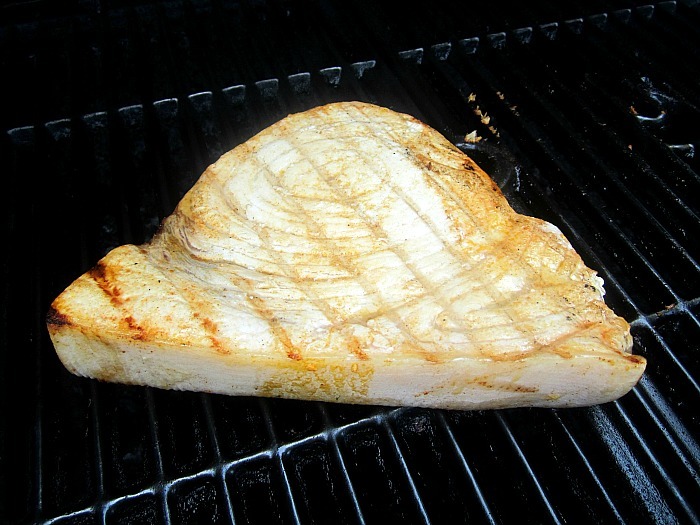 Light a grill on medium and place the fish on an oiled grate for 3 minutes on each side, depending on the thickness. Remove to a platter, and cut into small pieces. 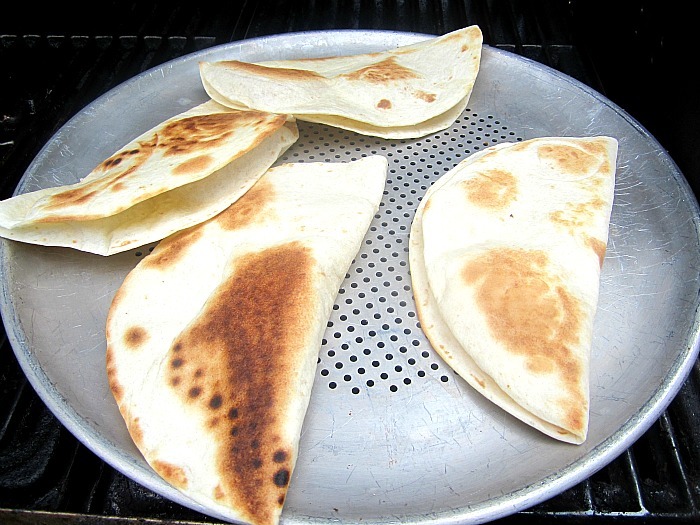 While the fish is grilling, fold the tortillas in half and lay them on a grill pan, so they don't burn. Grill just to warm and lightly cook for 2 minutes. 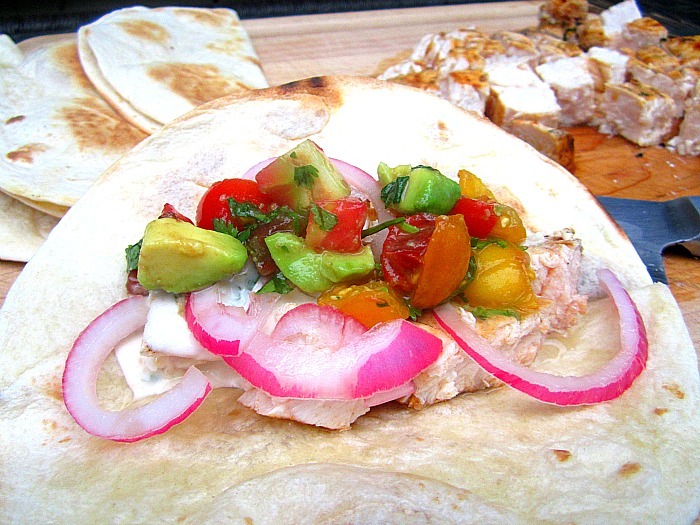 Spread out all the taco "stuff" and fill warm tortillas with fish, crema, salsa fresca and pickled onions. 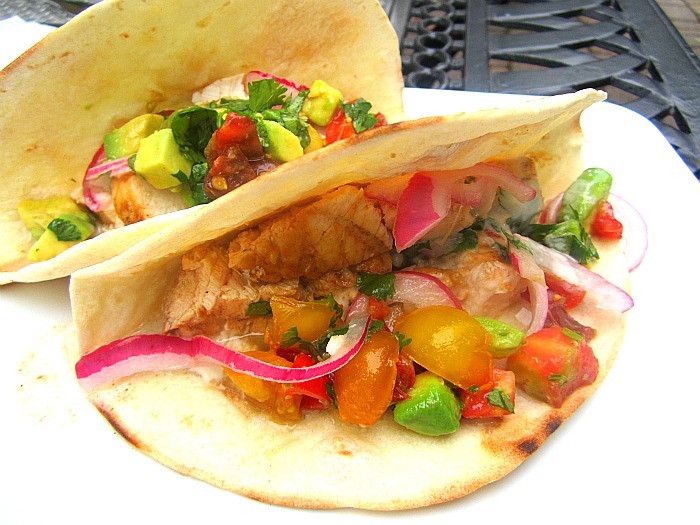 Ooh, I want these fish tacos. 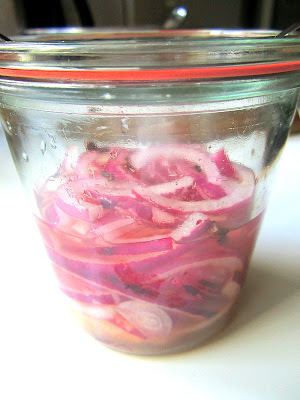 I would love them even without the crema and the pickled onions, but I'll make them with both and take it over the top. Hope you're having fun and over your bronchitis. Aaah Stacey. I found your blog through 66 square feet and love your recipes. But.. Swordfish are over fished and generally not doing too well in the greater scheme of things due to human greed. Could you recommend a recipe with a fish that can be sustainably harvested? I love fish tacos! Try a little chipotle sauce mixed into your crema next time, really good with a little heat. Thinking of you! Have had many fish tacos in Southern California. They are really good with shredded white cabbage. I keep frozen corn tortillas in my freezer to use when I make them as they really add flavor to the recipe. I haven't made fish tacos in eons, thanks for the tasty reminder! Yeah, that's the one glorious thing about living in Texas: Soft corn tortillas GALORE. I wish I could send you some. They're crazy cheap down here and really good. Great recipe. Fish tacos are catching on here in parts of S. Texas but as a previous poster said, they're definitely a West Coast staple.